Brooklyn radio fans are fighting a pirate invasion — demanding a crackdown on illicit Caribbean, Hebrew and shock-jock stations hijacking the airwaves. 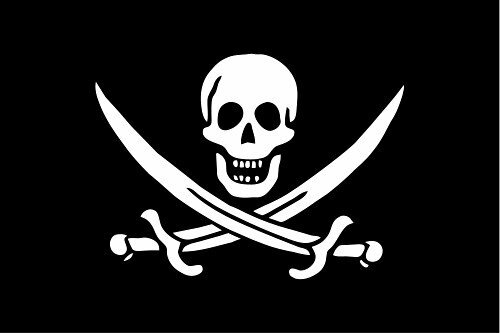 Dozens of unlicensed shows operate in New York City on an average evening and the state is home to 25 percent of the nation’s pirate transmissions, according to the FCC. But many radio amateurs aren’t forced to walk the plank. Instead, they find new hideaways for their equipment as FCC budget cuts decrease enforcement. There were 46 FCC field actions in New York City in 2013, compared to just 20 through July 31 of this year, government data show. Ike, a Sunset Park resident, launched Brooklyn Pirate Watch, a Twitter feed — @BkPirateWatch — to track rogue radio transmissions. Haitian Creole station squatting on 90.9 FM, according to Jersey City indie station WFMU — which claims its legal broadcasts at 91.1 FM are often interrupted by its illicit rival. […] Pirates are going strong because the radio tools are cheap and their audiences are often “way less wired,” WFMU general manager Ken Freedman said. I love that last quote by WFMU general manager, Ken Freedman. If listeners in Brooklyn, New York are “way less wired” imagine how shortwave listeners are in, say, South Sudan? This entry was posted in News, Pirate Radio and tagged AM Pirates, Brooklyn, FM Pirates, NY Post, Pirate Radio on September 11, 2014 by Thomas.